Remember Wendell? If not, you can check out his fist epic story arc here. 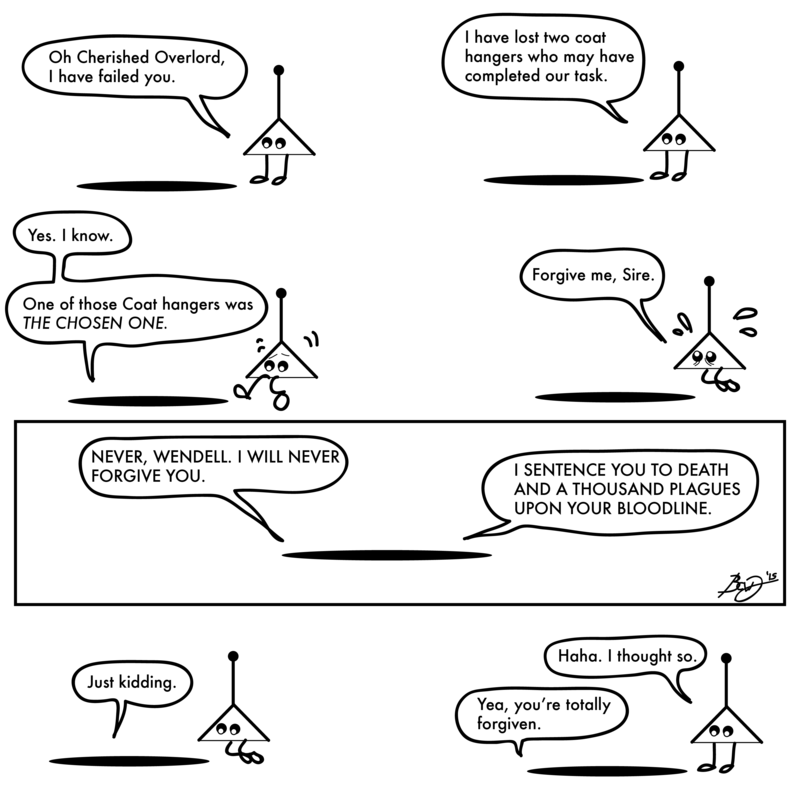 This entry was posted in Uncategorized and tagged alien, aliens, cartoon, coat checkers, coat hanger, coat hangers, comic, comics, extra terrestrials, web comic, web comics, webcomic, webcomics. Bookmark the permalink.